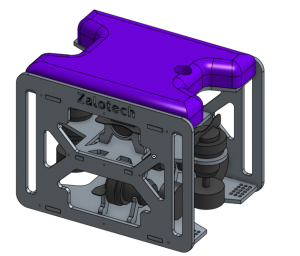 'Mentoring' Core Value demonstrated in Results of 2016 MATE ROV Competition. 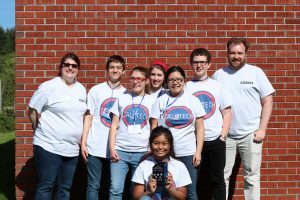 Aloha, Oregon, June 2016– Micron Laser Technology leverages its laser machining services to sponsor two teams from the Life Christian School participating in the 2016 Oregon Regional MATE ROV Competition. Student companies, Zalophus Systems and Zalotech, both placed 2nd place in their respective classes of Ranger and Navigator. Congratulations to the both teams! Background: On Saturday, April 30th, 43 teams of elementary, middle school, high school, and college students from across Oregon participated in an underwater robotics competition that focuses on the use of remotely operated vehicles (ROV) in research and exploration the deep ocean. The Oregon Regional MATE ROV Competition encourages students to learn and apply science, technology, and engineering to design, manufacture, and market their student-built underwater robots to complete missions that simulate real-world problems. The competition promotes entrepreneurship and leadership skills by requiring students to organize themselves into a ‘company’ that manages a project and budget, brainstorms innovative solutions, and works as a team. Hillsboro, Oregon, June 2015– Micron Laser Technology, a subcontract laser processing service company announced the addition of two new, ultrafast picosecond lasers with different capabilities that enable a broader spectrum of applications. This technology investment exemplifies Micron Laser Technology’s commitment to advancing their customers’ technology roadmaps and market position. The first system incorporates a Coherent picosecond laser capable of generating 1064nm, 532nm, or 355nm wavelengths at 200KHz. The second laser integrates nLIGHT’s helix pulsed fiber laser. This new generation ultrafast laser has configurable pulse widths from 50ps to 400ps and a user selectable repetition rate from 50KHz to 10MHz. About Micron Laser Technology: Micron Laser Technology is an international subcontractor of laser material processing services for the medical, military, aerospace, and electronics industries. MLT’s develops superior, non-contact, laser micro-machining of various metals, plastics, silicon, glass, and thin films with numerous custom ultraviolet and infrared laser systems. 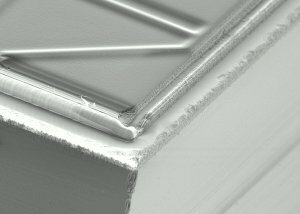 MLT’s rigid and flex PCB applications include microvia drilling, part excising, control-depth skiving, rework and marking.